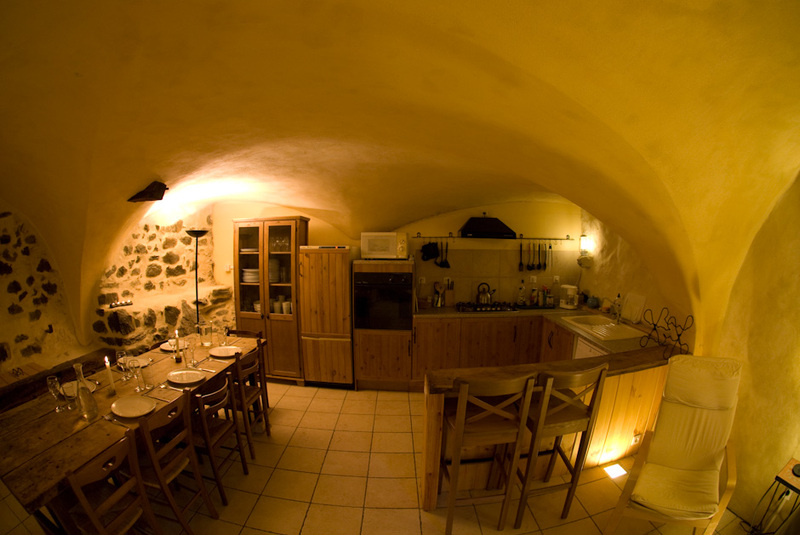 In Vallouise we offer accommodation in apartments which are situated in a typical village house which dates from 1766, and which is located very close to the centre of the village of Vallouise. The house has the typical three storey form with a vaulted cellar, the first floor living area and larder. There is a large wooden barn with cart access around the back which was used for delivering the hay. The house also has a small first floor garden and terrace for barbecues and enjoying the sunshine. There is covered boat and bike storage and a communal cellar with a washing machine. The shops, restaurants, bars and ski de fond pistes are at 5 minutes walk away and the ski stations of Puy St Vincent and Pelvoux are at 15 minutes drive away by car or by free bus.